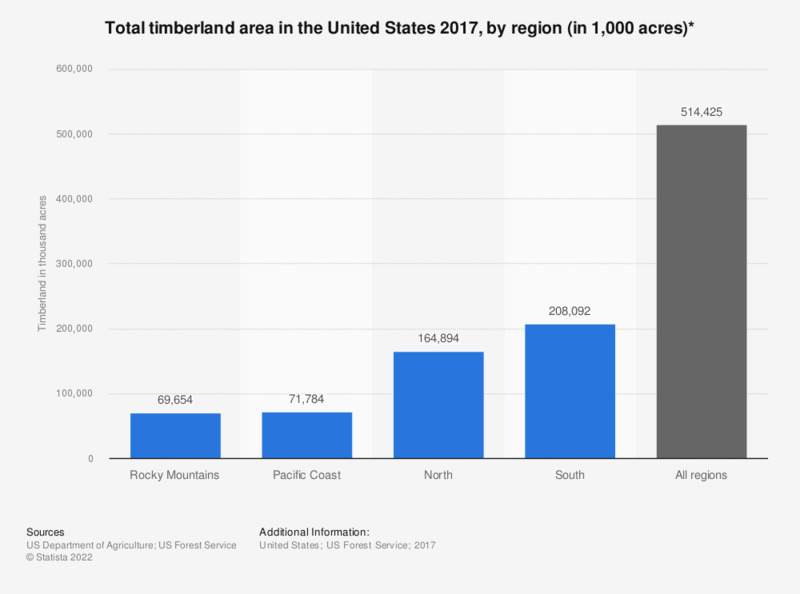 This statistic shows the total timberland in the United States as of 2017, sorted by region. In 2017, the largest area of timberland in the U.S. was reported for the South with a total of 208,092 acres. * Including all ownerships. Timberland is forest land that is producing or is capable of producing crops of industrial wood and that is not withdrawn from timber utilization by statute or administrative regulation. Areas qualifying as timberland have the capability of producing more than 20 cubic feet per acre per year of industrial wood in natural stands. Currently inaccessible and inoperable areas are included.